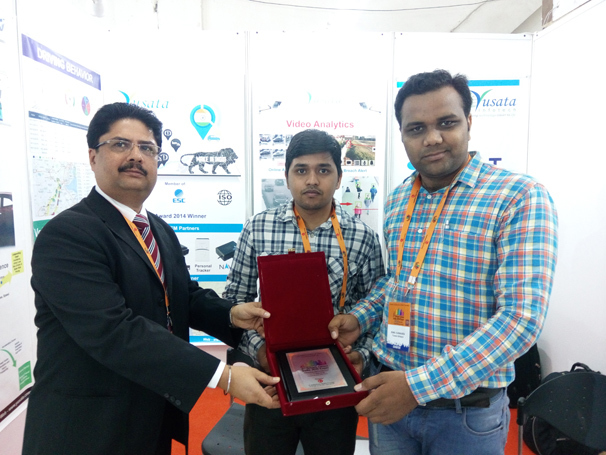 Exhibitions India, an event organizing company has planned 2nd Smart Cities Exhibition at New Delhi from 11-13 May 2016 at Pragati Maidan. The exhibition aimed at bringing together the companies with capabilities to contribute in the Smart Cities Project of GOI. The major emphasis was on Internet of Things (IOT) concept and solutions towards safety, security and better living of the cities. We participated in the exhibition and was allotted booth # C-71. The exhibition had planned Mayors' Conclave, country specific arena, various speakers on topic of concern in Smart Cities. • Development capabilities as per requirements. During the exhibition, we had received warm responses from the visitors, who were interested in taking up solutions for their need; it has been fortunate to receive interest from various Govt. Departments who were interested to provide Proof of Concept projects for their work. We would like to thank our delegates for making their presence at our Booth no # C71, 2nd Smart Cities Exhibition at New Delhi, 2016.